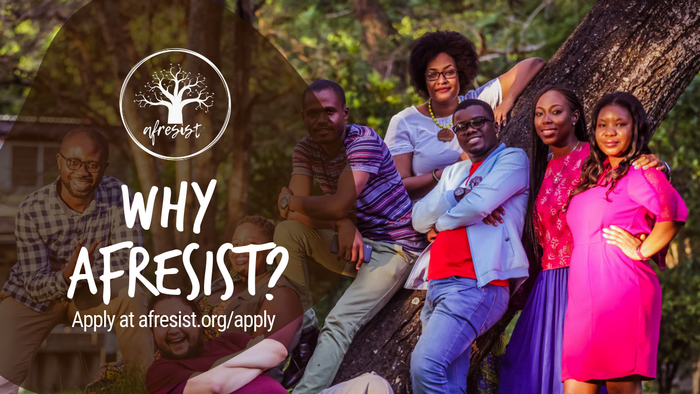 Applications for the First Edition of the first ever two-phase Afresist Youth Leadership Program are open! Afresist Youth Leadership Program (AYLP) is a leadership program is designed to support and train youth who are interested in activism as well as those who are discovering their place and role in society. It targets youth from diverse backgrounds across Africa, including rural and urban. It aims at training youth to draw from their environment, history and indigenous wisdom systems to create social change that embraces inclusion and diversity. The Afresist Youth Leadership Program (AYLP) was created by activists of Afrika Youth Movement (AYM) and is rooted in the belief that African youth can be everyday pan-Africanists, everyday leaders, everyday activists. AYM is Africa’s largest youth-led Pan-African movement that strives for the participation, development, and leadership of African youth to achieve their rights to peace, equality and social justice. Are you a young African aged between 18-25 years old? Want to be part of a new generation of young Pan-Africanists? Want to discover & (re)imagine the system of values a youth leader needs to realize positive social change? Want to be empowered to claim your agency and identity as a young African leader? Want to reflect on your place in Africa’s present and future to start building the Africa we want? If yes then this opportunity is for you! The two-phase program offers two weeks of intensive training which provides participants with an experience that will equip them with skills, knowledge, and network to own and build the Africa We Want! There will be online activities and engagement which will take place throughout the program; and two ‘face-to-face’ training on the continent. For more information, visit Afresist.